Every year in the town of Golden Hill, Maryland, contestants gather for two important competitions in the National Outdoor Show. Local high school girls compete to become “Miss Outdoors,” queen of the show and its representative for the year, on the same stage that the world’s best muskrat skinners compete to see who can skin the fastest. 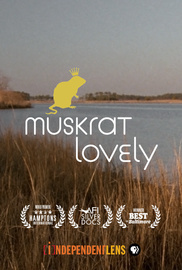 MUSKRAT LOVELY follows the events leading to the 50th crowning of “Miss Outdoors.” It's an ironic and tender look at the yearly event of a close-knit community in a remote area of the Chesapeake Bay.